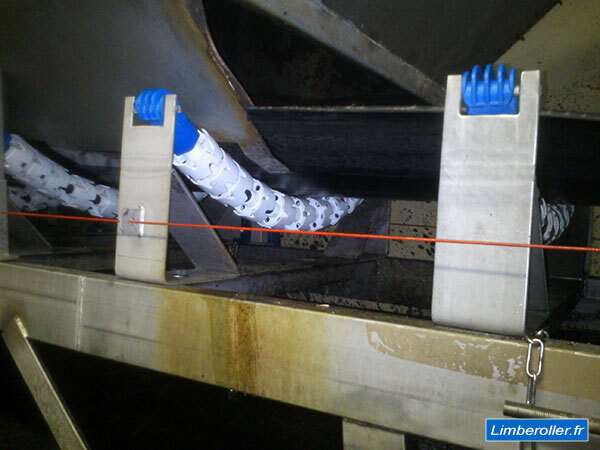 Limberoller® with unclogging discs polyurethan white (Limberoller PUD). 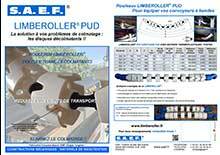 This type of Limberoller® exist since more than 30 years but the tool for manufacturing the polyurethan as disappeared because compagny who manufacture this unclogging disc has bankrupt. 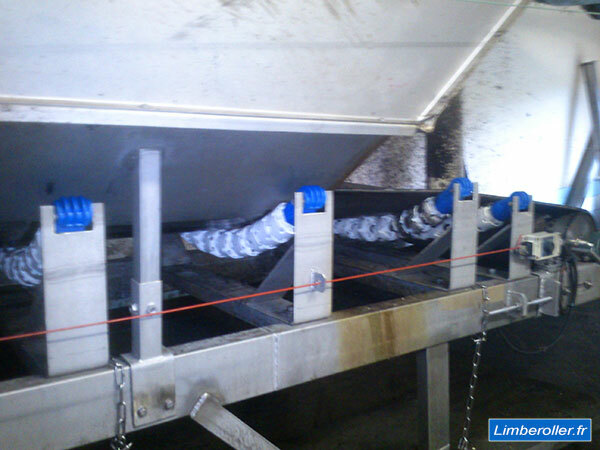 We have realize new tool for manufacture agin this Limberoller® with unclogging polyurethan discs (and nominate it PUD) and we have show it to the exisbition SIM 2013 in Besançon (France). Under the pressure of the belt, this cut outs crush the material and eject it (ideal for eliminate clogging). 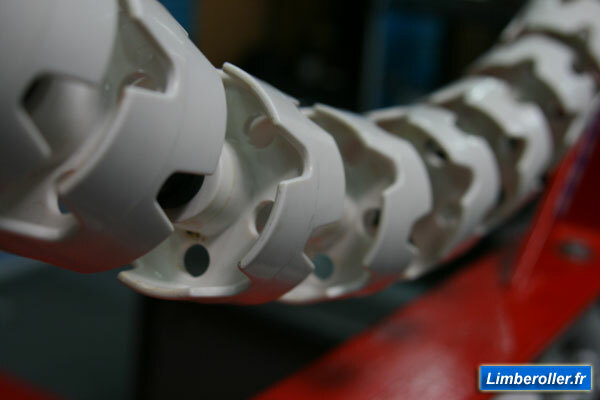 We still have customer who have this model in place since 30 years but, it was not always easy to take pictures of the Limberoller when he will be under the belt. If you are using this model or if you know where there is in place, please contact us and we reserved a surprise for you. 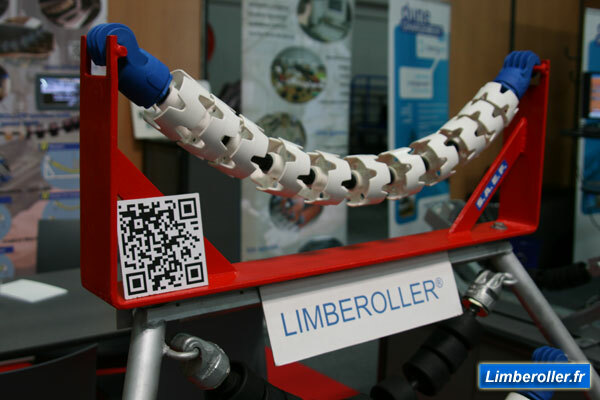 You have this Limberoller® and you can send us pictures or movie, don't hesitate and we will be happy to add it on our website. 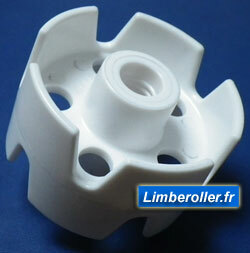 ps : Limberoller® is a quality product, there is a lot of copy exept this model ! 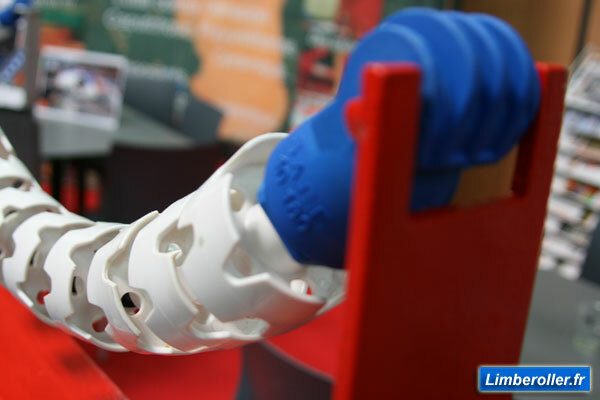 REQUEST THE ORIGINAL, LIMBEROLLER® IS COME BACK !